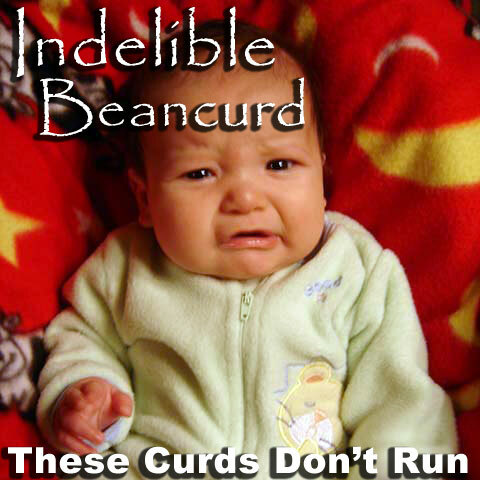 Indelible Beancurd - 'These curds don't run.' - In stores now. with liner notes and all that. Jan 12 2011 - Indelible track "Outerspace" featured in Wonder Woman Day 2010 documentary. "Happy Doom" gets love too. Dec 10 2010 - "Pope Song" featured in Getty Images quarterly broadcast intro. 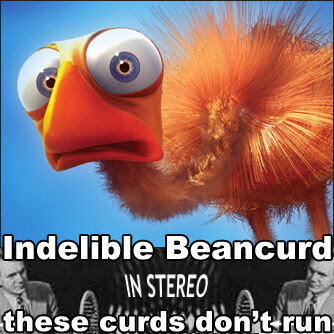 Jan 15 2009 - Indelible Beancurd review in the ANEWS: "clever... literate... highly diverting... psychedelic... "poignant"
Dec 2008 - Indelible album These Curds Don't Run drops. Fans everywhere at home alone rejoices. May 17 2005 - Icurd track I left My Blargh in San Francisco hits on compilation album Girl With No Name. you know the Send the to loved ones. ...experience design a and send it to us. 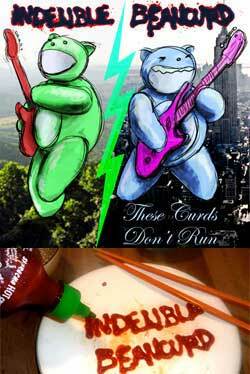 Lyrics for all songs on 'These curds don't run." 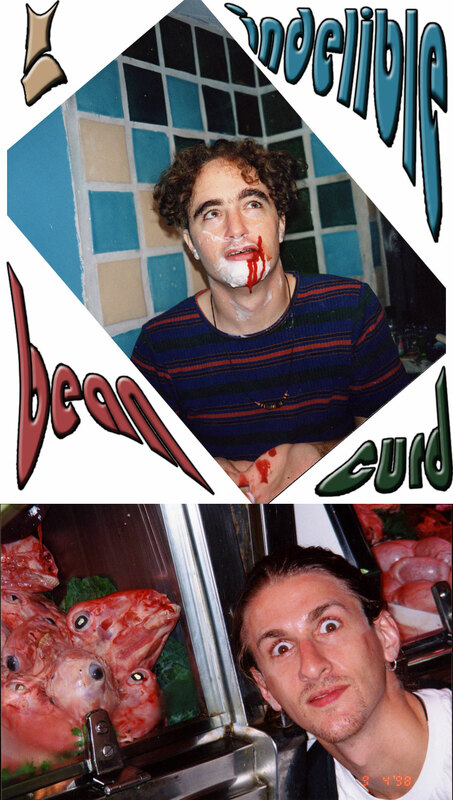 Indelible Beancurd is Ethan Rand McCarty and Dan Dreifort's latest musical endeavor. iCurd records and performs (rarely) in NYC and San Diego, regularly conning others to join them. Reluctant cohorts: Kevin Jenkins, Jonny Napalm, Lauren, Sarah Schur, Alex McCown, George Grant, Kiku Collins, Bryan Gibson and Josh Antonuccio. We've recorded at at Planet Grey, 3 Elliott and a few other studios. Silent E is the Indelible artist and Liaison to the Sun. (but you can't blame him for this awesome web page) Justin Zimmerman is our occasional pimp.